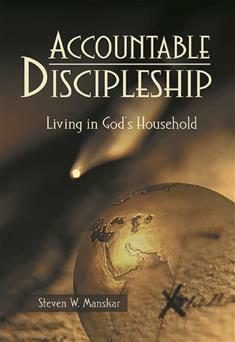 Accountable Discipleship: Living in God's Household is a book about pastoral leadership in the Wesleyan tradition. Pastoral leadership is the ministry of caring for the household of God. Both laity and clergy are called to this ministry. Those who read and study this book will be invited to discover their own ministry as pastoral leaders. All who follow Jesus Christ and seek to obey his teachings to "love the Lord your God with all your heart, all your soul, and all your mind," and "love your neighbor as yourself"* have the potential to be pastoral leaders for their congregation. They are pastoral leaders because others see and experience the grace of Jesus Christ through their lives. They are spiritual, servant leaders who follow the example of Jesus. These are ordinary people. They are laity and clergy. They are people like you. A foundational piece for anyone involved in Accountable Discipleship ministries, this resource explores a systematic approach for undertaking and accepting the challenge of personal discipleship for life. It is designed for leaders of Accountable Discipleship ministries, members of Covenant Discipleship groups, class leaders, and clergy. Click here for the Leader's Guide.